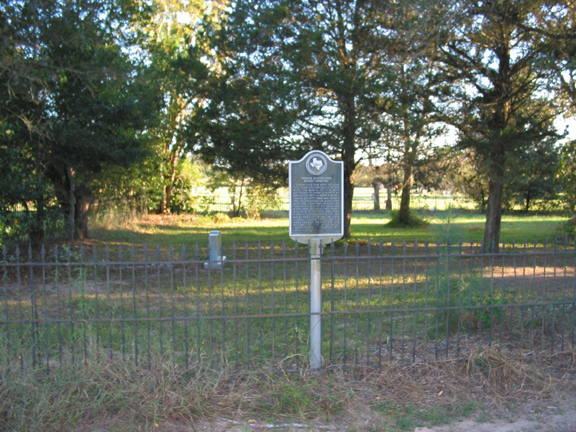 Marker location: Montezuma & Speakville Rd; Columbus (at the SW City limits of Columbus at Montezuma and FM 806). Comprising one acre of land, this cemetery was begun in 1879 with the burial of M. A. Levy. Although its name suggests an affiliation with a Hebrew Benevolent Society, there was never a specific organization associated with the cemetery. Several of the city's Jewish citizens are buried here, including two infants who died in the 1880s and merchant Louis Rosenstein. The last burial was that of Pauline Lewin Nussbaum in 1938. Abandoned for many years, the cemetery was restored in 1988 by a Boy Scout troop from congregation Beth Israel in Houston.